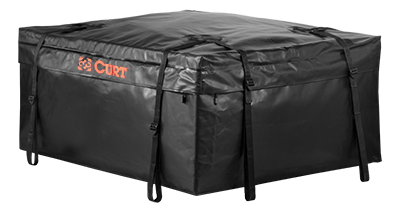 CURT cargo carrier accessories include cargo carrier bag and cargo carrier net options. Each cargo carrier bag offers weather-resistant protection for your items, while a cargo carrier net provides reliable security. Both are available for any hitch cargo carrier or rooftop cargo carrier.